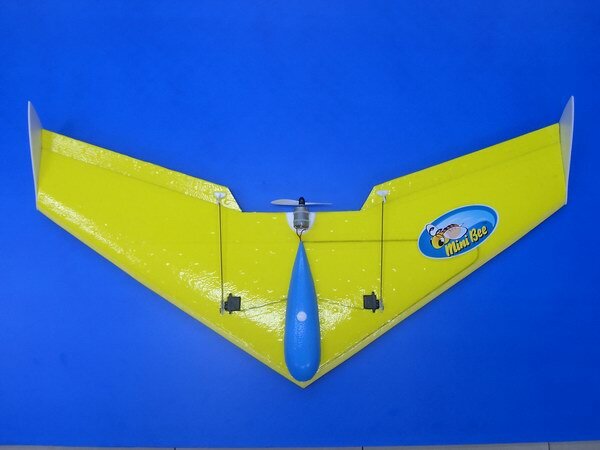 Please see this new molded EPP Mini Bee flying wing as follow. I am waiting for below 24 inch "MICRO BEE". 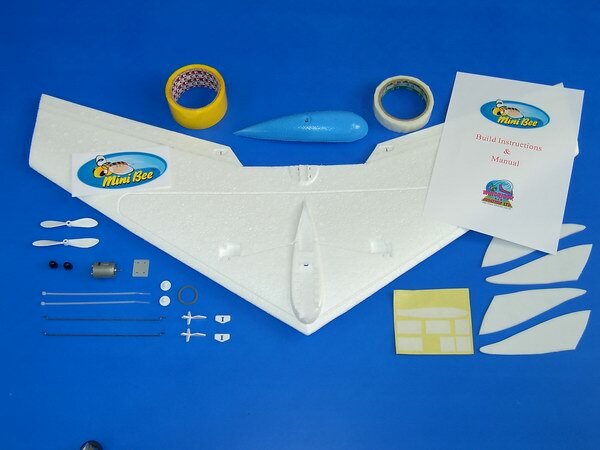 Around HK$360 included speed 370 motor and two propellers (3.5 inch and 4 inch). Yes, the lenght of the carbon spar is 8 inch. No, Mini Bee is one piece design by molding. Yes, it is possible and sound interesting! 條 spar 係咪已經 mold o左去隻機入面？唔用得唔得ga？有條 spar 係度，隻機唔摺得，要分體式，我怕駁返埋強度唔夠 。 你可唔可以幫我做o下 testing 哩? The spar is pre-molded inside the wing core but I think this is not a problem, because you can crop the wing to two pcs and join it back, just keep the spar inside the wing core by slide it in!